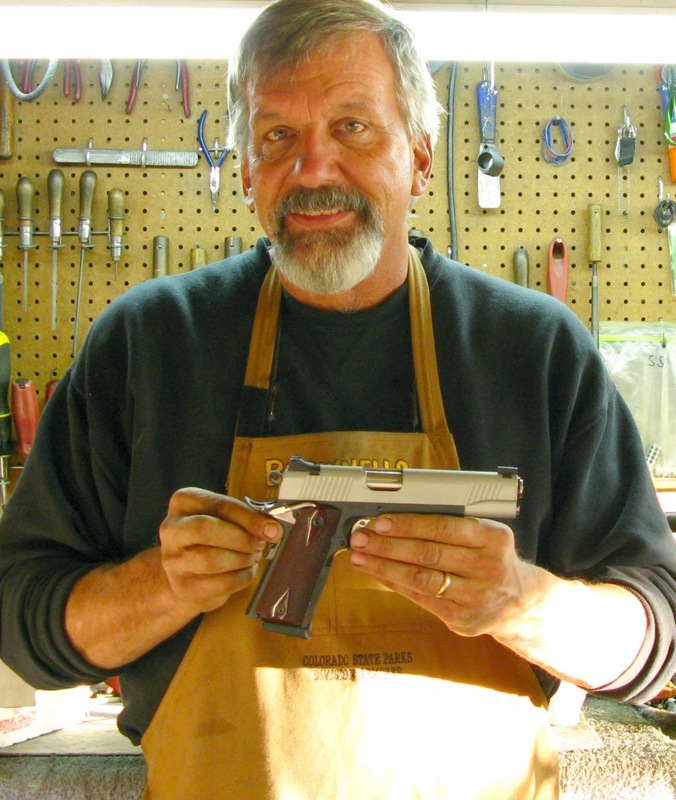 John's signature caliber is a 6mm 284. It's like a great big turbo charged 22-250. Possibly the best all around rifle caliber for the three species found in Southeast Colorado: coyote, pronghorn, and mule deer. 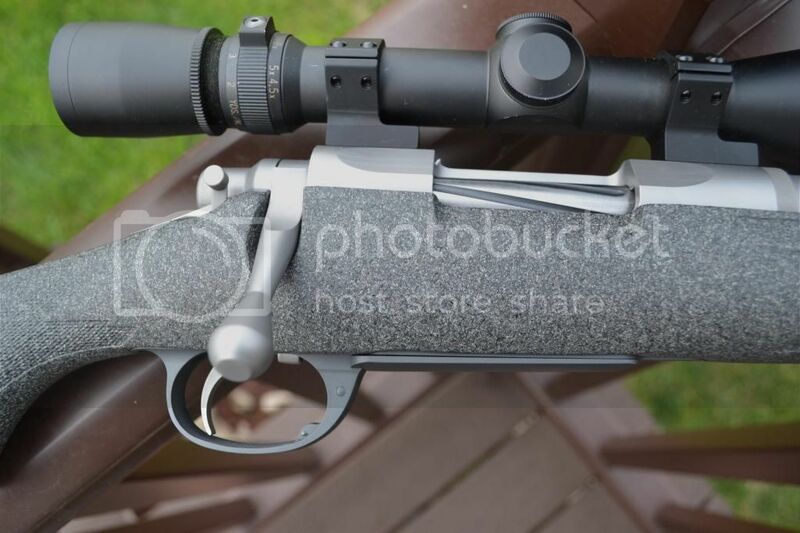 Custom .243 Winchester 70 built for Steve Eams. 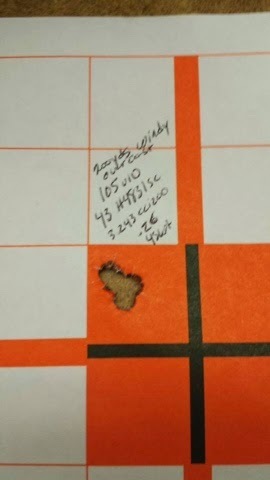 200 yard group with 105 A-Max shot by Steve Eams with the .243 Winchester 70 pictured above. Thank you for another great shooter! 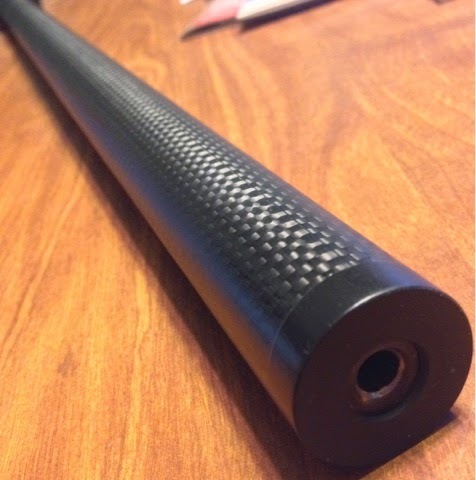 A custom carbon wrap on a sporter barrel. For Glenn Bernard, long-range rifle competitor. Custom floorplate Cerakote finish to match an Edge. For Mike Robino, avid sportsman and hunter from Montana.